Skipping Brushing Your Teeth At Bedtime? Big Mistake…. Late night tiredness can result in neglecting our teeth overnight, with potentially disastrous consequences. Some people argue that you should brush your teeth before breakfast, in the morning, whilst others argue that you should do so afterwards. Whatever the case though, the reality is that nearly all of us will brush our teeth at some point during the morning, if only to freshen up our breath before heading to work. The same is not always true of our nighttime routine though, and, especially when we have had a long day and are feeling very tired, or perhaps even under the influence of alcohol. In these situations we may simple decide to give it a miss, with the intention of ‘catching up’ in the morning, Unfortunately, good oral health is not achievable if you take this approach, and quality night time brushing and flossing is essential if you want to avoid tooth decay and other issues. The most obvious reason for cleaning your teeth at night is to remove any sugars and food particles that have become attached to the teeth and gums during the day. Everything that we eat, but especially sticky sugary food and drinks, will probably lead to cavities if not removed. It isn’t just food though. Out mouths contain a large number of bacteria, some of which are very helpful and start the digestive process by breaking down foods. Unfortunately, not all are as benign, and some bacteria will contribute to common oral health issues like decay and gum disease, if not kept under control. As our saliva production slows down at night, reducing its capacity to flush away these bacteria, it is important to remove as much as possible before we go to sleep. This can only be done by following good bedtime oral health routines. A dental abscess can be extremely painful. 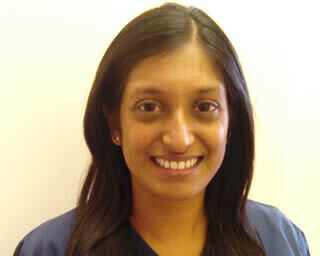 Our Streatham dental team offers advice on what signs to look for. Anyone who has ever suffered from dental pain will know how all consuming it can be. 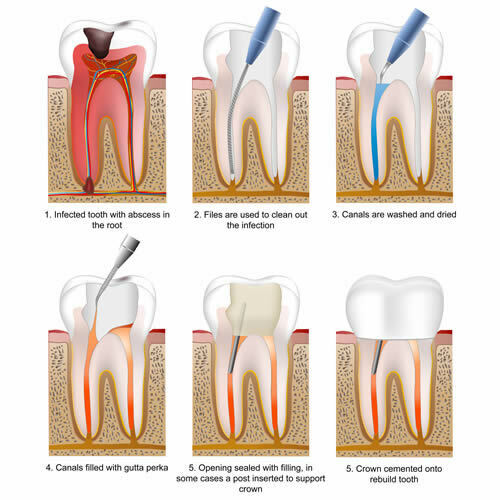 Although even common problems such as tooth decay can be painful, one of the worst types of pain is that which is caused by a tooth abscess. These often occur quite widely, for example in children who don’t clean their teeth as well as they should do. It isn’t just children though that can suffer from this infection of course. Adults can find themselves in this situation, particularly if they don’t clean their teeth well enough, and have also avoided seeing one of the dentists at our Confidental Clinic practice on a regular basis, for their six monthly dental examination. A tooth abscess forms in the pulp area of the tooth. This usually shouldn’t happen if you have healthy teeth, as strong tooth enamel helps to prevent bacteria from entering the layer beneath it. However, cracks, chips and decay can all compromise a tooth and allow the bacteria to start on its journey towards the pulp area in the inner part of the tooth. Before reaching its final destination, bacteria will travel through the dentin layer. This is a porous area of the tooth, and no amount of home cleaning can prevent the bacteria from travelling further when it reaches this stage, which is better known as tooth decay. This can only be treated by having a dentist remove the decayed material and filling the cavity, or perhaps using a crown in more extensive cases. Patients should always remember that tooth decay will not improve of its own accord and will simply become worse if you fail to have it treated. Finally, the bacteria will arrive at the pulp area of the tooth. This is where the nerves and blood vessels are located, and, as an abscess starts to form, the patient is likely to experience an increasing amount of discomfort, and often severe pain. Interestingly, an abscess is actually a good thing for our general well being despite the significant pain it can cause, forming in order to prevent the bacteria from reaching other organs of the body. As these bacteria can potentially be dangerous if left to advance, to prevent further infection, it is important to have your abscess treated by one of your local Streatham dentists as soon as you can. Your local Streatham dentist discusses these two dental terms. We are sure that some of our patients sometimes feel a little confused when we take notes during their check up. As we are not speaking to you directly at that time, we tend to use medical terminology so that we can ensure that accurate notes are taken for the clinical records. Where we need to discuss a treatment with you, we will, wherever possible, try to explain the treatment in the most simple terms possible so that you can understand what it entails. Over time, patients often become accustomed to some of the more common terms such as malocclusion (an incorrect or misaligned bite) and periodontal disease (gum disease). There are also a few terms that that patients may hear less often, and we discuss a couple of these in today’s Confidental Clinic blog. Pericoronitis occurs when the gum tissue surrounding the wisdom teeth becomes inflamed, or overlaps the tooth itself. This sometimes happens when the tooth first erupts, but can also happen later on. As it overlaps the tooth, it provides an area where bacteria can easily collect, and therefore, inflammation and infections may well occur. Food particles can also become trapped in this area, and, whether bacteria or food, inflammation and swelling can occur which can even spread to the cheeks and neck and can be very painful indeed. Providing that you attend our Streatham dental surgery on a regular basis for check ups, we will be able to monitor the progress of this condition, taking x-rays to make sure that your teeth are erupting correctly. Where there is discomfort, we will be able to determine the root cause and treat it accordingly. Where pericoronitis is diagnosed, there are a number of options available, and treatment will depend on the exact circumstances. If we feel that the problem is occurring temporarily, as the tooth erupts, this may be treated with a thorough clean and perhaps either antibiotics or an antibacterial mouthwash. Where the problem is significant and where the tooth is poorly positioned as it erupts, we may need to remove the tooth altogether. 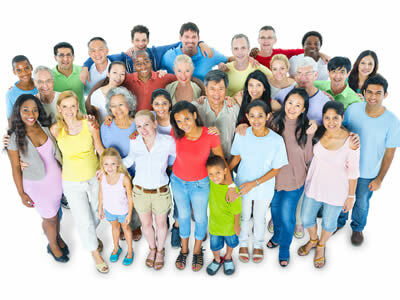 If so, there are many ways that our Streatham dentists can help you to improve it. In this modern era of selfies and endless photo albums on social media, there are some amongst us, who may shy away from joining in because they are embarrassed about their smile. Crooked, chipped and stained teeth don’t make for a great smile for sure, but this is not inevitable and the cosmetic dentistry at the Confidental Clinic can help to change this for you. For those whose teeth are presently in good condition, seeing one of our dentists for regular checks and having your teeth professionally cleaned by the hygienist at our Streatham practice, will help them to stay that way, at least until natural discolouration occurs later on in life. To start the process of restoring your smile, it is first of all necessary to have an initial consultation with one of our cosmetic dentists. They will need to examine your teeth and discuss with you, what your aims are and how best to achieve them. As your oral health is of key importance, it is essential that we make sure that your mouth is healthy before we start any cosmetic treatment. To this end, any instances of tooth decay will need to be repaired and you may also need to have a scale and polish to help get your oral health back in good shape. Where fillings are needed, we are now able to offer white fillings which blend in with your natural tooth. You can finally say ‘goodbye’ to those dark amalgam fillings with this modern solution. Save yourself £50 on a brand new whiter smile for Spring. There are almost certainly some cold and dull, almost Wintery, days still to come. That said, it’s hard not to acknowledge the first feelings of warmth from the sun, and the first shoots coming through as Spring finally seems to be just around the corner. With this new season often comes a desire to make changes; to have a ‘personal spring clean’. This can happen in many ways. A new wardrobe and a throwing out of old clothes is common at this time of the year. Increasingly though, people are also looking at cosmetic dental procedures as a way to really kick start the new season. One of the most popular of these treatments is the teeth whitening procedure. To help our Streatham patients with their personal spring clean, we currently have a special offer on teeth whitening, with £50 off this popular cosmetic dental procedure. This is one of the simplest ways to really give your smile a major boost in time for Spring. To have attractive white teeth is not only good for personal self esteem, but can also have an effect on those around you. A number of studies have concluded that one of the first things that others notice about you is your smile. If that smile reveals a set of discoloured and stained teeth, it is probably not going to give the impression that you would want it to. An attractive white smile, on the other hand, can make a difference not only to the way people generally warm to you, but could also potentially have a positive influence in situations such as job interviews and romantic relationships, for example. Unlike sharks, which continually lose and replace their teeth around 37,000 times during their lifetime, we humans only have two sets of teeth, and when they are gone, they are gone. We know that we will lose our first set of teeth however well we look after them, but this doesn’t mean that we shouldn’t take good care of them whilst we still have them. In fact, failing to do so could have unexpected consequences later on in our life. At the Confidental Clinic, your dentist in Streatham, we always encourage parents to take responsibility for their children’s teeth, starting at a young age. Supervision and constant encouragement go a long way to helping them clean their teeth properly, and avoiding the pitfalls that would probably happen if they didn’t. The most obvious reason to make sure that your children’s teeth are looked after well, is that you don’t want them to be in pain. A severe toothache can be extremely painful to a young child and is almost certain to result in little or no sleep for both the child and the parent(s). Although tooth decay can still occur even if you brush your teeth well (especially given that children usually love sugar), the chances of it are greatly reduced. It is worth remembering that, for younger children, teeth extraction will probably have to take place in hospital and not at your local dental practice. So certainly something to be avoided. Professional dental care is essential for healthy teeth, but there are lots of other things you can do to help. What we do in our daily lives can have a significant impact upon our teeth. What we eat, whether we brush well and even if we grind our teeth, will all impact upon their overall health and condition. Professional dental care is also essential, of course, and we encourage all of our Streatham patients to visit our practice for a check up at least every six months. Whilst professional care is essential, there are also many small things that we can do in our daily lives to help. In combination, these can make a real difference to our oral health. Some of these suggestions require a small change in thinking, whilst at the same time, taking up very little, if any, additional time from our busy lives. Let’s start with an obvious one. Cleaning your teeth shouldn’t just be about whether you clean them or not, but how you do so. Some golden rules apply such as using a fluoride toothpaste and brushing for at least 2 minutes. In addition, make sure the bristles on your brush aren’t worn, and if they are, replace the brush. Make sure to brush your gums lightly as well as your teeth. Finally, add flossing to your regime if you don’t already do this. Our Streatham dentists can demonstrate how to do this if you find it difficult or awkward. Tips to help with a better experience whilst receiving orthodontic treatment. Having crooked teeth can create a number of problems, the most obvious of these being that, no matter how white your teeth are, crooked teeth will almost certainly spoil your smile. Other factors also come into play too, and crooked teeth can cause an incorrect bite, leading to potential damage to your teeth. Add to this the fact that uneven teeth are harder to keep clean and you can see why so many people opt to have them straightened. There are a number of orthodontic braces systems now available, including Invisalign which we will discuss later as these differ greatly from the way that traditional braces work. For now though, your local Streatham dentist Dr Rohit Kumar looks at some of the lifestyle changes that you can make, in order to have a better experience whilst wearing traditional style braces. There are two essential types of ‘traditional’ braces; those that are perhaps best known to many of our Streatham patients, and which are made of metal. Cosmetic versions in this style are also available, often using finer materials that are made to blend in better with your teeth. All of these though will use a series of wires and brackets which are used to reposition your teeth. Wearing either of these types of braces means that you will need to make certain adjustments to your lifestyle for the duration that you are wearing them. The New Year could offer a new start for your smile with our wide range of dental procedures. Most of us will look back at 2018, perhaps with a mixture of emotions. Whatever sort of year we have had though, we can’t do anything to change it, but can now start to look forward to the year ahead. The new year is a time when we often try to make changes in our lives that offer a more positive future for us. Whilst we probably can’t help you to lose weight, get fit or even find a new job, our team of cosmetic dentists can help you to restore the appearance of your teeth, especially beneficial if you are an older patient whose teeth have suffered the wear and tear of daily life for many years. 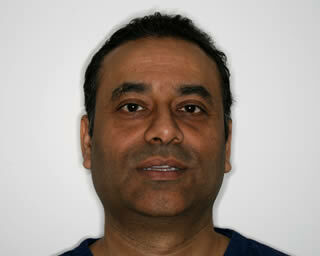 There are a number of procedures we can use that can help our Streatham patients with this. Before we look at any treatments to help you to have attractive looking teeth again, it is critical that we make sure that you have a healthy mouth. Nice looking teeth will offer no real benefits if they are likely to fall out, or if people won’t go near you because of smelly breath. Whilst this should not be such a problem for patients who have maintained regular appointments at the Confidental Clinic over the years, for those whose appointments may have been more erratic, the first step is to make an appointment to have a full and thorough check-up. Before we look at ways of improving how your teeth look, we will need to treat any instances of tooth decay and gum disease. Relating to the above, and as a part of your cosmetic restoration plan, it makes sense to make sure that any necessary fillings used are not of the traditional dark amalgam type. Our composite dental fillings can be used to fill any new cavities and can also be used to replace any existing dark amalgam material. This is especially important on the visible front teeth that people will see when you smile. For the rear teeth, there are also tooth-coloured materials available which are very strong and can usually be used as an alternative to the traditional, dark amalgam versions. Minimising the risk of tooth decay in your child. A report published the other day (1), notes that there has been an increase of 18% in the number of young children needing to have teeth extracted over the last five years. With all the additional nutritional and health advice that is now available online, this is perhaps a little surprising. In today’s blog, your nearby Streatham dentist, Dr. Tushar Patel, takes a look at some possible reasons for the rise, and also, how you can minimise the risks for your own children. Although it isn’t uncommon to hear people claim that kids have an unhealthy diet because everything is all too easily accessible and nobody makes food from scratch these days, that is to ignore the changes that have happened in society over the past twenty or thirty years. Some of these changes have been revolutionary and have been very beneficial for the majority of people. Few people now have outside toilets and have an almost constant access to hot water, for example. Others changes though, have included the widespread availability of convenience foods and high sugar drinks which have contributed to our increased sugar intake to the point where some are now claiming that sugar is as harmful as smoking. Our working lives have changed too, and many families now have both parents at work. It isn’t surprising then, that at the end of the day when the parents are tired from working, often long hours, and their children are hyperactive, that we sometimes give in to their pleas for sweets and other sugary things, simply for a quieter life. Some people think that dentists are unrealistic when we tell them about how bad sugar is for their children’s teeth. The fact is that we do understand how hard it can be to avoid it, and, instead, we recommend that you allow them to eat a moderate amount of sweets. A small, sweet treat a day will do little harm providing that it is given at the right time, and that your children are also encouraged to keep their teeth clean. All families will vary in their lifestyles, but, as a rough guide, here are some suggestions for their daily food intake which may help.